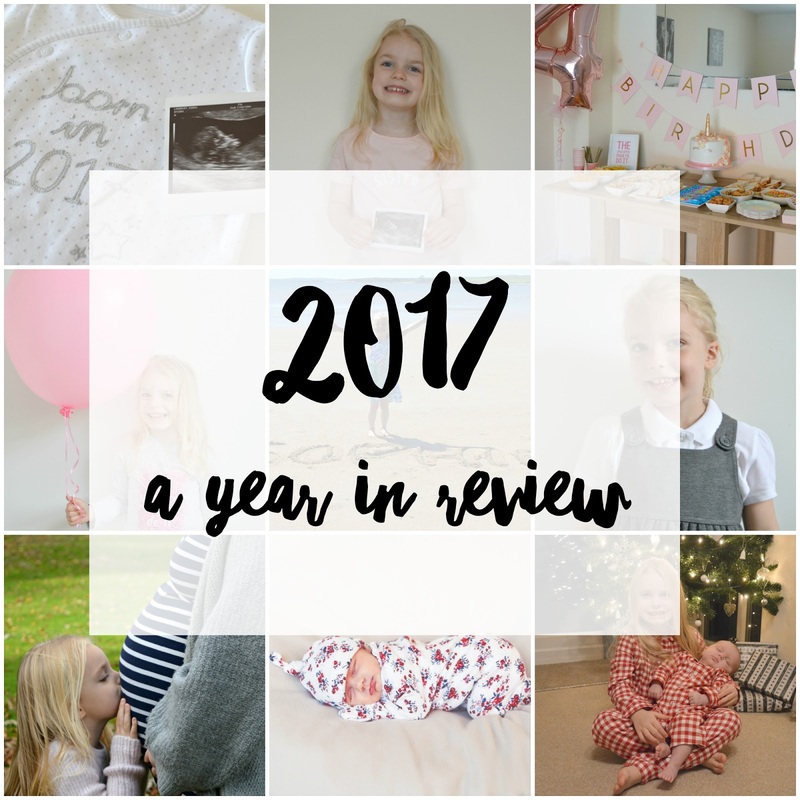 I think it's nice to reflect on the positive things that happened throughout the year and as 2017 is coming to an end, I thought I would write a post on it and look back at our year - as it's been a pretty eventful one! So at the beginning of the year (in February), we celebrated mine and Toby's birthdays. We also found out that I was expecting our second baby! We went on a few little adventures at the start of the year, including walks to the park, a day out at Knowsley Safari Park, a short break in Northumberland. We also announced our pregnancy and also did a little gender reveal. Not long after that, Sophie turned four and we threw her a unicorn themed birthday party! We then had our family holiday to Scotland, my first trip to Wales and our last weekend as a family of three. In September this year, Sophie started school & Toby and I celebrated six years together. Amelia arrived in October and Sophie finally became a big sister! The past few months have been a whirlwind, but we recently celebrated our first Christmas as a family of four - and it couldn't have been any more perfect.